Like many things, I discovered Nixie Tubes when I was looking for something else though I cannot remember what I was originally searching for! 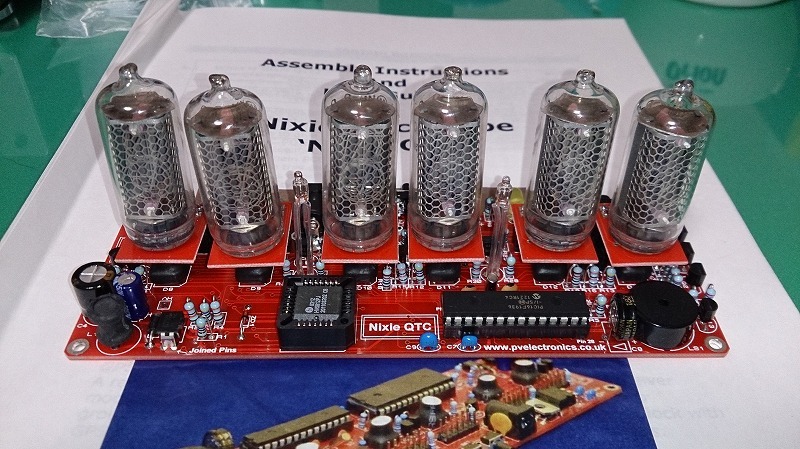 I have been involved in electronics since the late seventies, in recent years I have done bits and pieces with the Raspberry Pi and Arduino platforms which has re-kindled my interest and ultimately led me to discover the Nixie Tube. After much research I took the plunge and decided to build a Nixie Clock which now sits proudly on the mantelpiece and provides many hours (24 in each day!) of entertainment. The building process was an absolute joy and the completed project is amazing. I managed to convince my wife Jo that this was really cool stuff (it didn’t take long) and she has built her own clocks and is currently working on one with over 1500 components! I find the tubes totally captivating and I love the mix of original vintage technology with todays microprocessor driven timekeeping with all the possibilities that it provides.